I have been sick for the past few days with this cold that’s going around and haven’t been to work but today I had to make it to the office and was in no mood to dress up but I pulled myself (somewhat) together and this is my quick 5 min office look. As most of my outfit was plain, a black top from Winners and a bronze/brown skirt, I wore some leopard print /orange stilettos to spice it up at least a bit. These shoes are from a store called ICON here in Toronto, Yorkdale mall. You can always find a pair of funky shoes in this store. It’s not a popular store I’d say and they don’t seem to have many locations. I know they had one at Fairview mall (for those familiar or living in Toronto) but they closed it down. They have really cute shoes, heels and flats. I didn’t go too hard on the accessories today. 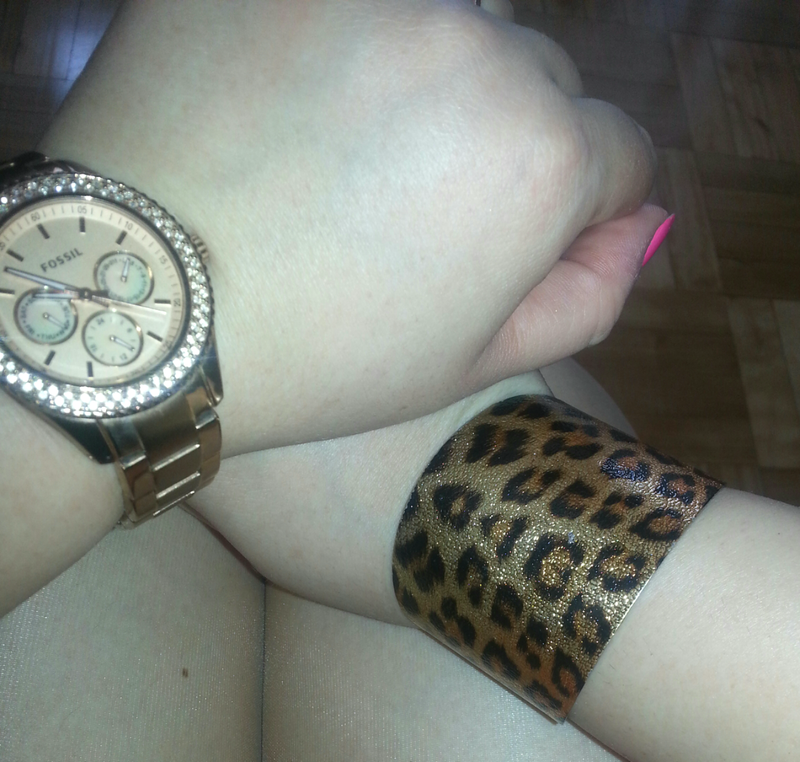 My rose gold Fossil watch and a leopard print bangle and some big square stud earrings. And there you have it. The fastest put together office outfit ever. Now if I can just get over this cold that fast!